A chakra or you can say a wheel is a point of prana (energy) in the subtle body, situated in the physical counterparts of the body like the arteries, nerves and veins. Yoga is a powerful and beneficial way to release the life force or ‘prana’ whenever it’s stuck. Chakra Yoga releases the moldy energy and enhances the level of fresh energy in the body through breathing and practicing various yoga poses. Each of the seven chakras has its own importance and is connected to the emotional well-beings of a person. The Muladhara or root chakra is situated at the base of the spine and is connected to basic human survival and instinct. The Swadishthana is situated over the root chakra, at the sacrum and meets to the reproductive cycle. Beyond that it is the Manipura, positioned in the stomach area and deals with power, self esteem, fear etc. and physically, it also deals with digestion. Above this, it’s Anahata, situated in the chest just over the heart and deals with love, devotion and inner peace. It is followed by Vishuddhi, positioned in the throat and dealing with self-expression, communication etc. Beyond this, it’s Ajna that is located between the eyebrows and replies to intuition, imagination and capability to deal with situations. At last, there is Sahasrara that is at the top center of the head and deals with connection to spirituality, inner and outer beauty etc. It encourages your bond with Earth, relates you with your own body and grounds you in the current moment. Veerabhadrasana is a powerful asana which creates a firm relation between the Earth and your body. This pose allows your prana to go through your body, rooting you by the first chakra. It physically makes your legs stronger, opens your hips and can aid with knee and lower back strength. It is a dynamic or energetic root Chakra Yoga that allows your feet to be family rooted into the Earth and your spine busy in releasing the additional root chakra energy. Bridge posture also encourages the throat chakra, balances the sacral chakra and opens the heart and solar plexus chakra. Sit comfortably with your spine erect, stay calm and relaxed and Let the thoughts in your mind flow freely. Create a circle with your thumbs and forefingers. Relax your hands on your knees with palms up. Breathe in deeply and breathe out. Repeat it for 7 to 10 breaths. Sit comfortably with your backbone straight and target your attention on the area 1-inch below your navel across to lumbar vertebra one. Relax your right hand above your left hand with the palms up in your lap with thumbs touching evenly. Repeat this for 7-10 breaths. Sit comfortably with your spine erect and concentrate your attention on the area of the navel to solar plexus and across to thoracic vertebra eight. With straight fingers, touching at the top and spotting forward, from a V with your thumbs interacted right over left. Sit comfortably with your spine erect and concentrate your attention on the part of your heart across to thoracic vertebra one. Generate a circle with your thumbs and forefingers. Relax your left hands on your knees with palms up. Sit comfortably with your spine erect and concentrate your attention on the part of the throat’s base across to cervical vertebra three. Make a circle with your thumbs touching and the rest of your fingers interlocked and loosely cupped. 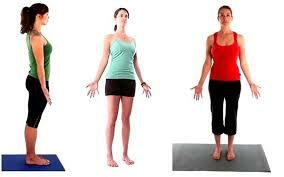 Lift your left hands opposite to your throat, solar plexus, or relax them on your lap. Sit in a comfortable pose with your spine straight and concentrate your attention on the part of your third eye, starting slightly over the point between the eyebrows across to cervical vertebra one, around the skull’s interior. Create a heart with your thumbs touching at the tips and your ring finger, forefingers and pinky fingers touching at the second phalanges. Lift your middle fingers to make a crown. Lift your hands opposite your third eye, solar plexus or relax them on your lap. Repeat it for 7-10 breaths. Sit in a comfortable pose with your spine straight and concentrate your attention on the part of your crown at the top of your head and 3 inches over your skull. Hold your hands with crossed fingers to make a crown. Lift your hands above your head before your solar plexus or relax them on your lap. Practicing Chakra Yoga daily can help you in opening up all the chakras that can have a very bright and positive effect on everyone’s body, soul and mind. When yoga is practiced, the chakras get balanced and make everyone’s system function in a stable, balanced manner in both physically and emotionally.